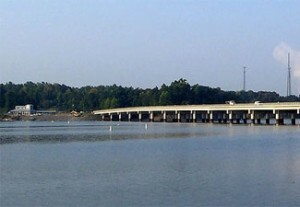 Lake Wylie is located 17 miles southwest of Charlotte, NC and borders with neighboring South Carolina. First created in 1904 by a dam near Fort Mill, SC, Lake Wylie is one of the oldest reservoirs in South Carolina. The dam was rebuilt in 1924 and the lake’s surface expanded to approximately 13,443 acres and 325 miles of shoreline. Thousands of nearby residents enjoy fishing and boating fun 12-months a year due to the Carolina’s mild winter temperatures. Six species of recreational fish are monitored and stocked to maintain a healthy supply for the avid fisherman. Lake Wylie also hosts many fishing tournaments well attended by both pro and semi-pro bass fishermen and women. Residential communities surrounding the lake vary in options from wooded lots, park-like shorelines and resort-type condominiums. Many undeveloped lots of waterfront property are available, and existing real estate options offer new residents beautiful choices. Looking to add a boat dock, repair a boat dock on Lake Wylie? 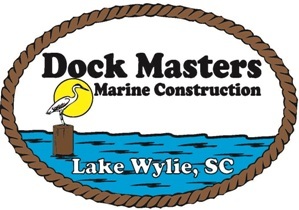 Dock Masters, has been Lake Wylie’s Premier Waterfront Contractor for Lake Wylie boat docks and lifts since 1986. As a full-service contractor, they are the most recognized dock builder on Lake Wylie due to their outstanding reputation of custom design, quality workmanship, and exceptional total customer experience. Visit Dock Masters’ website at DockMastersOnline.com. Contact Dock Masters by phone: 803-831-1633 or online at Contact Dock Masters.